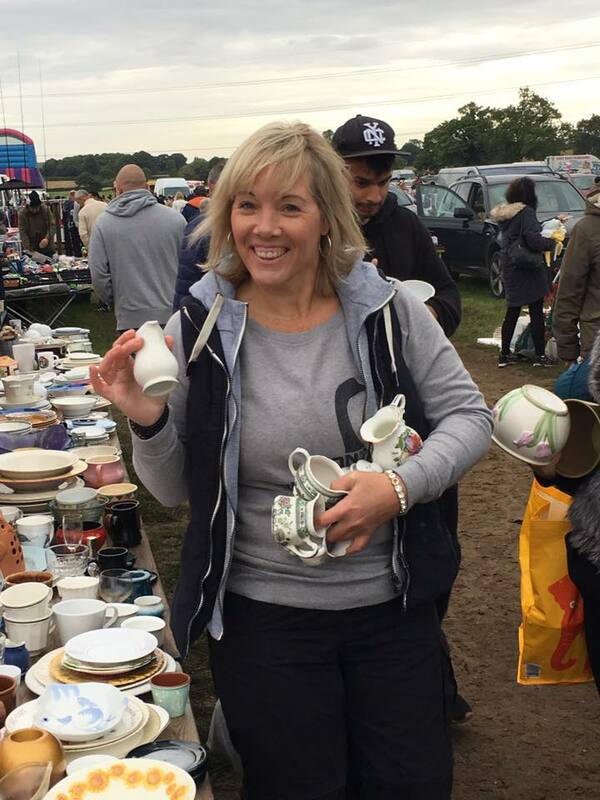 It was a few years ago when my Mum first took me to a car boot, this was before I worked at her nursery, Love 2 Learn in Leicester and long before I really understood what The Curiosity Approach truly stood for. With the promise of a burger or Bacon bap at the end of our car boot haul. This innocent teenage bribe, turned into a much loved tradition of two people reflecting & celebrating our mornings successes. I loved our Sunday morning wander up aisles, scouring and searching for items of Curiosity & fascination. Hunting for trinkets & treasures that would spark curiosity, imagination & discovery. For me & my mum this became our weekly jaunt, no longer was I destined for lazy Sunday lie ins or snuggling under thick duvets when a car-boot was in town ! 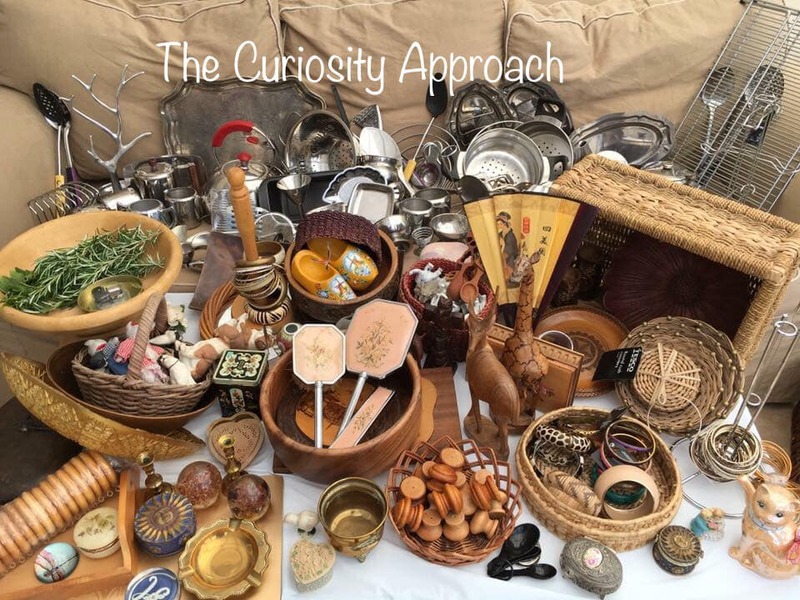 April to October Sunday Mornings belonged to Curiosity treasure searches. We went every Sunday and I got pretty good at picking out the good stalls, teapots, China, shoes, and stainless steel, wooden animals and any authentic item that caught our eye. I even followed in my Mums love of all things authentic & created my online shop, called “Curiosity resources “. On our Sunday morning hunts we would sometimes come across people that had just cleared houses and they sold in bulk. On these occasions we had to make extra trips back to the car, like two little pack donkeys. Laden down with random items, others saw junk, where we saw TREASURE! On many occasions my mum would embark on chats, conversation, using her charm to gain items at a bargain price or three for two deals. The elderly loved to hear how we were changing education systems & getting children away from screens & technology. They loved the thought of children tinkering, exploring & playing with real items. Getting back to old fashioned deep & meaningful play. After a few weeks of stock piling all of what we bought in our bulging garage, Mum had to dedicate our once dining room into our very own Curiosity Approach store. The house was becoming a treasure trove of eclectic beauty. Although I must admit I was becoming tired of trying to clamber over Russian dolls and ceramic turtles at 3am to get to the WiFi box & I did start to worry that by the time we started to move the resources into love 2 learn nursery, I was certain we’d end up on a episode of hoarders! There she was my mum, sat in the back of the boot of her car, fully surrounded by everything we had purchased. People that passed by, tried not to make eye contact or they had a bit of a giggle quietly to themselves over the woman expressing her passion & enthusiasm over the vintage lamp or stainless steel tea pot she found. My mum is always so enthusiastic about all her new authentic resources, it didn’t bother her what they thought (they where clearly not on our bus). Although I didn’t like the clutter of storing it in our house for several months, it truly was worth it in the end. Anyone who has seen one of my mum and Lyndsey’s talks in person (which I can recite off by heart I’ve been to that many) can see how these two genuine people are so passionate about children’s education and I’m happy i got to be apart of it. So dearest people- if you haven’t already, take a look at The Curiosity Approach. See the magic of Authentic resources. This Pedagogy is about educating children through heart, hands & head. It’s the best bits from Steiner, Reggio, Montessori and The NZ Curriculum of Te Whariki. Forget the soulless toys that all feel plastic, smell like plastic & are plastic. Select resources that have been lovingly collected, salvaged & provide a wealth of opportunities for children. At the Heart of The Curiosity Approach is a love of Early Years. Any child who is surrounded by such love & passion is bound to thrive . Feeling blessed to be part of it.